Eat, Play, Applaud: Visit Paris in Milwaukee with Bavette and "Les Miz"
Published March 26, 2018 at 2:56 p.m.
My love of Hollywood has taught me many things, but perhaps its most prominent lesson is that no city is as thrilling or romantic as Paris. I blame Audrey Hepburn, that timeless beauty who famously said, "Paris is always a good idea." Humphrey Bogart is equally guilty, parting with Ingrid Bergman in "Casablanca" with the iconic "We'll always have Paris." Have I watched too many movies? That's up for debate. But one thing that cannot be disputed is that if you are lucky enough to visit the City of Lights, there's a good chance your romantic expectations will come true. Based on personal experience, few things in this life are as exhilarating as walking down the Rue de la Bucherie, fresh croissant in hand, with Notre Dame Cathedral on one side and the famous Shakespeare and Company bookstore on the other. With a scene like that before you, how can you not fall a little bit in love with Paris? That being said, there are some tales, both in film and literature, which tell a not-so-glamourous side to life in France. One of those stories is "Les Misérables." After all, the translation quite literally means, "The Wretched Ones." But sometimes, especially in works of fiction, there is beauty in suffering and lessons to be learned from tragedy and heartbreak. Milwaukee audiences will be able to see this particular French story without buying a plane ticket to London's West End, as the show will make the Marcus Center its temporary home starting March 27 through April 1. Let me just get something out of the way right now: Words cannot describe how much I love "Les Misérables" – so much so that it's probably best that I'm not reviewing it. Inspector Javert could miss every high note in "Stars" during the performance and I'd still give it a rave review. In fact, I love this musical so much, that I'm risking extreme jet lag to see the opening night performance before I get on a plane to Dublin the following day (#worthit). Since Bastille Days is still way too far away, the arrival of "Les Miz" would serve as the perfect time to bring the sights and sensations of Paris right to our very backyards. Luckily, with the help of a favorite local eatery and this gorgeous Broadway musical, this wish is easily granted. There are countless ways you can attempt to describe the indescribable feeling of strolling through the streets of Paris, but I think Edmund White said it best when he stated, "Paris is a world meant for the walker alone, for only the pace of strolling can in all the rich (if muted) detail." Anyone who has ever had the fortune of travelling to that magical city knows this to be true. But luckily, that feeling exists without travelling across an ocean. Here in Milwaukee, we have our very own neighborhood perfect for strolling, ideal for the walker alone. You don't have to get on an airplane to understand the charm of the Paris Latin Quarter or the energy of Montmartre – you can get that simply by exploring the Third Ward. I'm not the only one that thinks that the sophisticated neighborhood feel is reminiscent of the streets of Europe. In fact, Karen Bell, owner (or, in "Les Misérables" terminology, "Master of the House") of Third Ward staple Bavette La Boucherie, happens to agree with me. "I think the fact that the Third Ward is a neighborhood with markets, shops and restaurants, where people spend the day wandering and going from place to place, is an element of France people can get when coming to this part of town," she noted. But Third Ward visitors tend to wander a little bit longer when they stop at Bavette – after all, there's a lot to keep them delightfully occupied. There are two sides to Bavette, each a uniquely European (and delicious) experience. First you have the modern rendition of the traditional neighborhood butcher shop. Then, you have a farm-to-table restaurant that features an always thoughtful and seasonal menu. Basically, it's the kind of place where Jean Valjean would be very tempted to steal much more than just a loaf of bread. 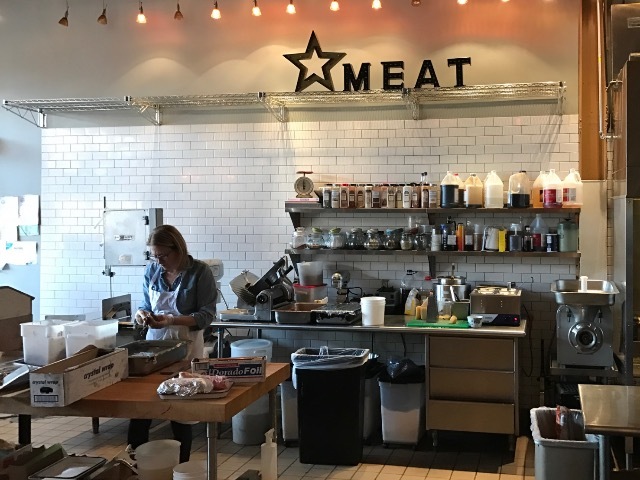 Through its butcher shop, Bavette puts quality and sustainability first by sourcing whole animals raised responsibly on small local farms, thus eliminating excess waste. In addition, Bavette also provides local traceability of its meats back to a singular farm and a singular animal, meaning every customer knows exactly what they are about to consume and where it came from. If that wasn't extraordinary enough, Bavette's restaurant serves these meats – in addition to salads, small plates, cheese and charcuterie boards – on a daily changing menu. The offerings within the butcher shop make its way onto the menu in a truly unique way: What you see on the meat counter is exactly what you're going to get in the restaurant. In other words: one animal, endless possibilities to satisfy any appetite. While you can expect more than just French flavors when you walk into Bavette, one thing is unmistakable: Bavette is a Milwaukee favorite that brings the charms and traditions of Europe right to our very own lakefront. Although the 1.1-mile distance from Bavette to the Marcus Center isn't exactly a trip down the Champs Elysee, let's continue our night in France and pretend that the Arch de Triomphe awaits us at the end of Water Street. But not even our imaginations can disguise the fact that something truly inspiring (and truly French) will indeed be there. 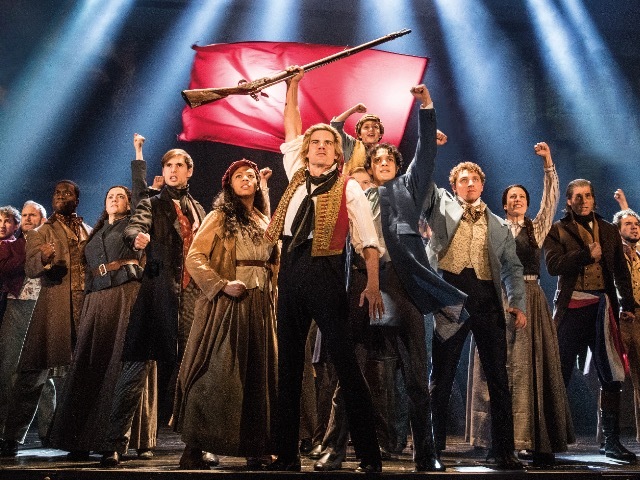 If you haven't already picked up on it, but not only am I a fan of most Broadway musicals, but few musicals impact me the way that "Les Misérables" does. I was lucky enough to see the show for the first time in London ten years ago – and surprisingly enough, I, the queen-of-all-things Broadway, walked into that theater knowing next to nothing about this beloved story. I wasn't even familiar with the songs. But I figured, "Hey, I'm in London, why not?" Little did I know I was about to spend the next three hours being transfixed by the most gorgeous music I would ever hear. I lost count of the number of tears that I shed, or how often my mouth fell to the floor every time a performer hit a high note I could only dream a dream of hitting. 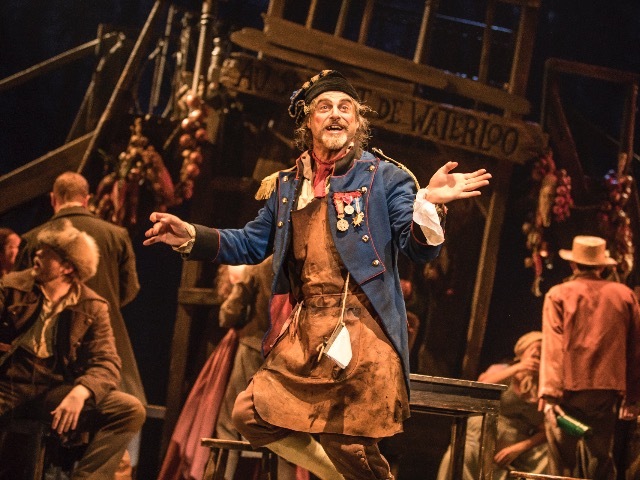 I know I'm not "on my own" in my sheer awe of this stunning musical – I've had friends of mine tell me in the past, "Yeah, show tunes really aren't my thing … but I love 'Les Misérables'." For those of you who aren't familiar with the musical ... my God, where have you been and what have you been doing? Here's the quickest and simplest way to explain the plot: be warned, there is A LOT of plot and A LOT of people to get to know. You have Jean Valjean, who, at the beginning of the show, is just about to be released from prison after a 19-year stint. His crime? Stealing a loaf of bread to feed his starving family and many subsequent attempts to escape captivity. They really weren't messing around in 19th century France. He's finally released by Inspector Javert (who still has it out for him throughout the story despite that minor infraction), and almost turns back to his former life of crime, until a bishop takes pity on him and encourages him "to become on honest man." He heeds his advice and promises to begin another story, a story centered on unwavering faith and charity – and that's just in the first 20 minutes! What else can I say about a musical that means so much to me and to countless people around the world? "Les Misérables" is just one of those extraordinary sagas that grabs you and doesn't let you go even after you leave the theater. Just like the meal you'll enjoy before the show at the incomparable Bavette, no detail of this show is overlooked, no aspect deemed unimportant. Every lyric is an opportunity for the audience to fully understand compassion, forgiveness, courage and faith. Maybe that's why it's run for over 30 years in the West End. While it's a French story, its rich and beautiful themes are relevant everywhere – whether walking the streets of Paris and streets of Milwaukee. 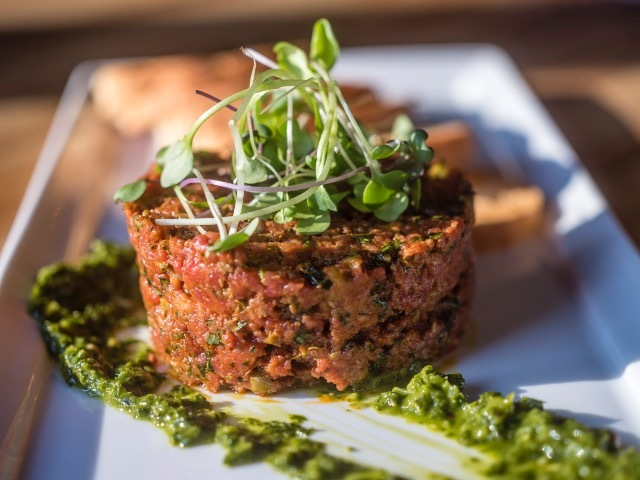 Bavette is located at 330 E. Menomonee St. in the Third Ward, while performances of "Les Misérables" take place at the Marcus Center for the Performing Arts from Tuesday, March 27 through Easter Sunday, April 1. Eat, Play, Applaud: Baking up a sweet combo with Sciortino's and "Matilda"